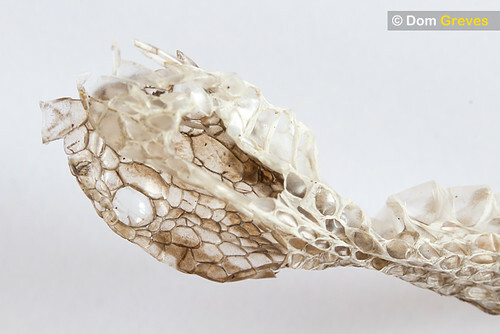 Periodically snakes and other animals shed their entire skins, in a process known as ecdysis (or sloughing, or moulting). Moulting takes up to 14 days to complete. 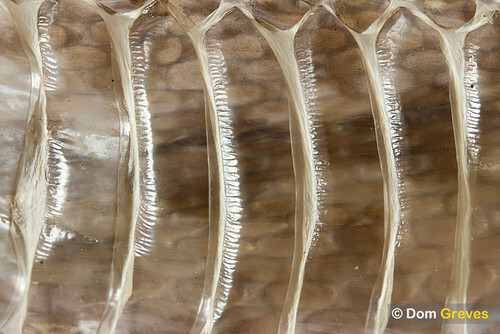 The inner surface of the old skin liquefies, which causes it to separate from the new skin beneath it. 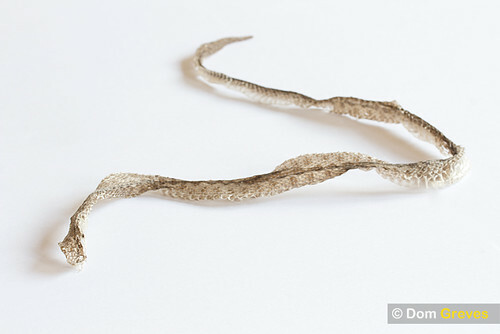 By rubbing its skin on hard objects the end nearest the head begins to peel back on itself, until the snake is able to crawl out of its skin, turning it inside-out like a sock. 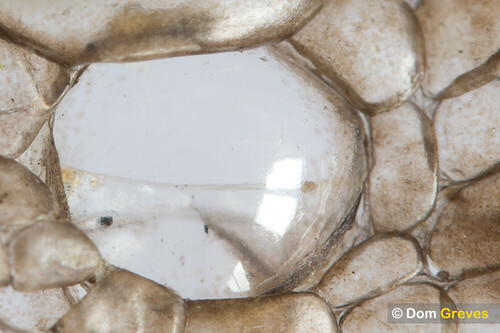 The ocular scale, or ‘brille’, is discarded along with the rest of the skin. This is essential for maintaining the snake’s quality of vision. 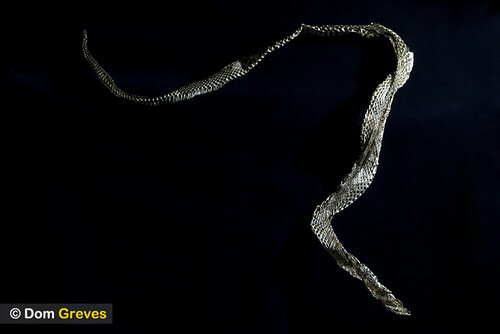 The visually striking process of renewal exhibited by these animals is one reason why serpents have historically been symbolic of healing and medicine in our culture. 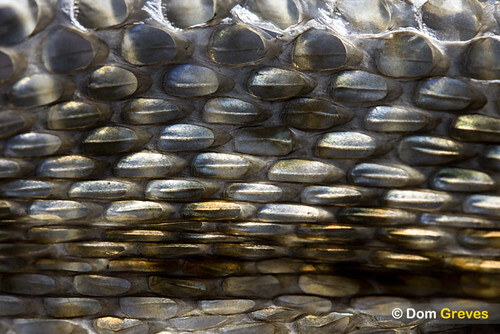 This particular skin was found on heathland, woven in amongst some dried grasses. We later stumbled across a stunning, newly sloughed, caramel-coloured female sunning herself nearby.